Perfection. High technology. Italian craftsmanship. This saddle is the result of the exclusive Rush project, developed by Astute Labs in collaboration with Cinelli Chrome and Supernova teams, for demanding cyclists riding in a low aggressive position. Features a round shape for track cycling and single speed races. 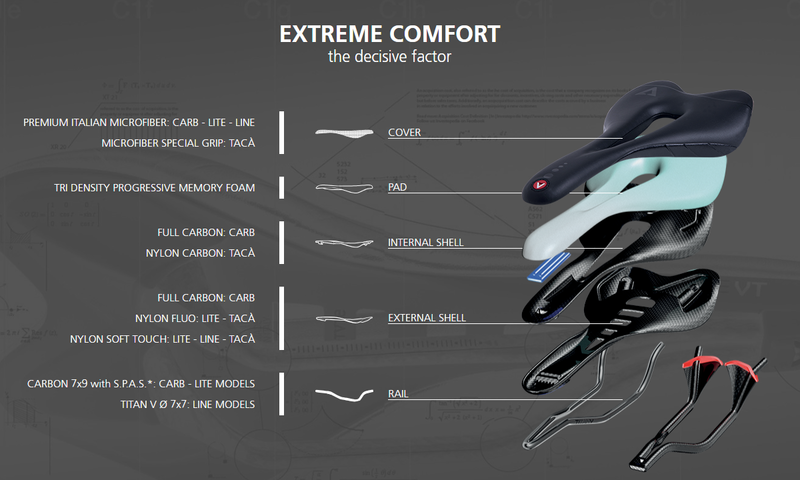 For ultimate reliability and high performance. 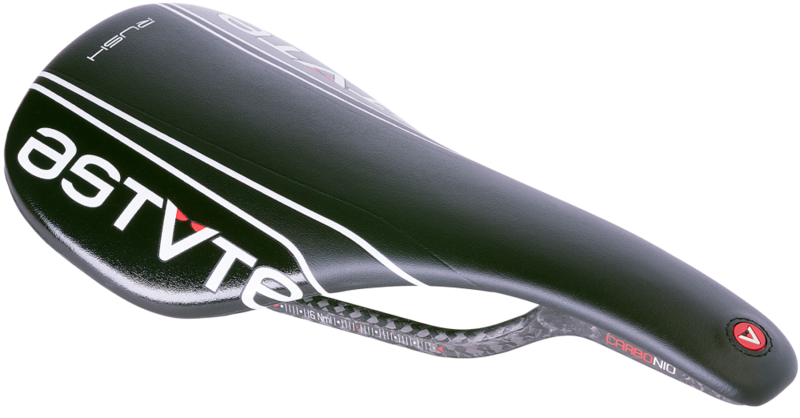 RUSH features an open U-shaped single-piece shell in 15% carbon-fibre reinforced nylon, designed to reduce pressure in the perineal area and provide greater support in high-strain conditions. 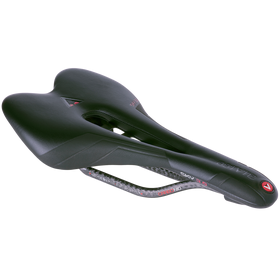 Its round shape with dedicated dimensions - 125mmX250mm - has been designed for cyclists who frequently ride out of the saddle and sprinters. 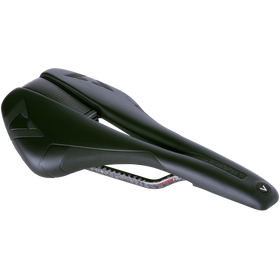 A compact saddle featuring high performance and reliability. Full-carbon rail with 3K Carbon Rail 7X9 technology for reduced weight, with a lower construction for a bolder look. This combination has been specifically developed by Astute to provide higher performance during races. 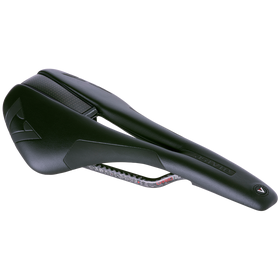 The Asymmetric Rear Design System provides a bold, easily recognisable design even while riding, with a unique asymmetric soft-touch bow available in 4 different colours in the back. 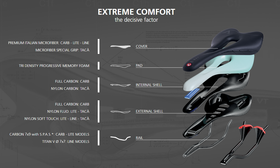 The SR seat has been designed to make the most of the «tension arc» formed by the shell and rail. 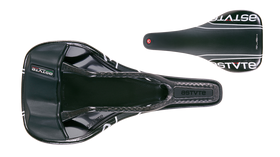 While pedalling, the body rests on the entire surface of the saddle, which results in ultimate comfort and better performance for cyclists who frequently ride out of the saddle. Memory Foam padding. Made in Italy and Ecolabel certified, the waterproof microfibre coating features a dedicated print and is easily washable with soap and water. RUSH is exclusively handmade in Italy according to strict local regulations.